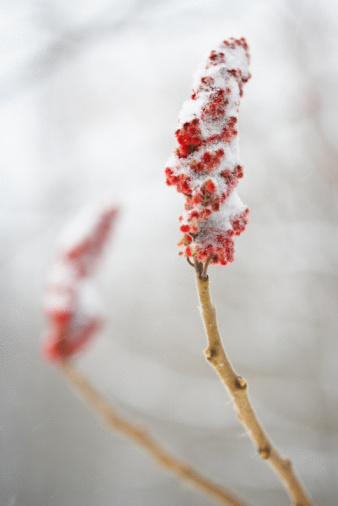 The sumac tree can be any of the numerous species found within the genus Rhus, officially classified as flowering plants. The sumac can grow to anywhere between 3 feet and 30 feet in height, and is found worldwide in both temperate and subtropical regions. While some characteristics vary from species to species, all sumac trees share certain common traits that allow you to easily identify them by merely examining the plant in question. Many species of sumac grow flowers in clusters, such as the staghorn sumac pictured here. 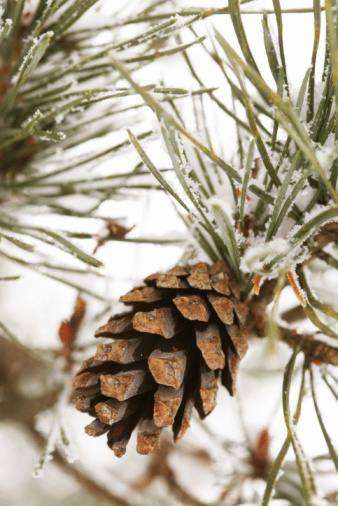 Observe the general shape of the tree, and others of the same type growing nearby. Sumacs spread by a process known as "mounding," in which root suckers or fallen seeds sprout to form a colony of closely growing plants. Sumac trees often have bent or branched trunks and erratic branches that grow to evenly fill the space available to them, making identification even easier. Look at the leaves. The leaves of most sumac plants grow in what is known as a pinnate compound — two rows of leaflets growing out of a central stem. In the majority of species, these leaves are long and pointed, forming palm- or fern-like fronds. Examine the flowers and berries. Sumac flowers grow in tight clusters of small blossoms, and can range in color from red to green to white, depending on the species. 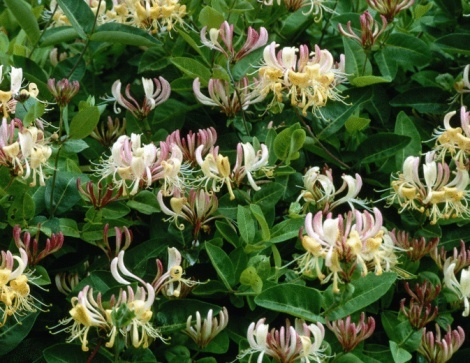 These blossoms each have five petals, and will grow into small fruits that will also vary in color. The berries of some sumac species hang downward, while others grow in vertical spires, but all occur in thick clusters of tiny fruit.